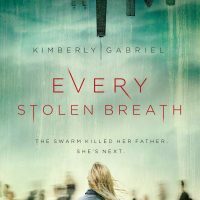 EVERY STOLEN BREATH is a fast-paced, immersive thriller, which looks at just how hard one girl will fight back against the crowd knowing any breath might be her last. Kimberly T. Gabriel is an English teacher who writes every chance she gets and struggles with laundry avoidance issues. Every Stolen Breath (out November 5, 2019 with Blink/HarperCollins) is her debut novel. 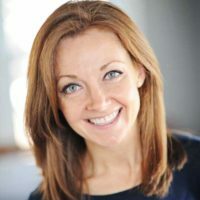 When she’s not teaching or writing, she’s enjoying life with her husband, her three beautiful children, and a seriously beautiful boxer in the northern suburbs of Chicago. You can find her online at kimberlygabriel.com, on Twitter @KT_Gabriel, or on Instagram @kimberlytgabriel. Wow, this sounds like a great story, and I like the cover. I really like the cover. I would choose it.